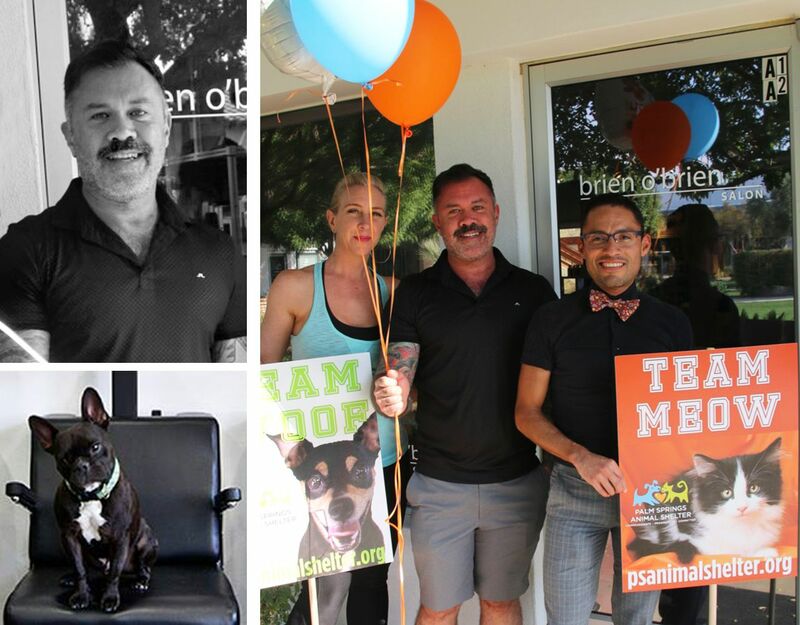 Brien O’Brien Salon has been a long time supporter of the animal shelter, hosting several fundraising parties at the salon to help bring attention to our mission and to encourage other animal lovers in the community to give. If you would like more information about how your company can support the Palm Springs Animal Shelter, contact Alicia Bailey at abailey@psanimalshelter.org. Donations can always be made in person at the shelter located at 4575 East Mesquite Ave., Palm Springs or online at www.psanimalshelter.org. And don't forget to visit the awesome team at Brien O'brien Salon located at 515 North Palm Canyon Dr. in Palm Springs!